Hostinger is known all over the world to have a strong office which is localized, and one can start his or her website with free hosting. Hostinger has all such things in it which can make risk free option for the beginners and also can be an advanced option for the experts. One can start the online experience on Hostinger so that the experience is the best one. The services of Hostinger range from the advanced VPS cloud hosting plans to the fresh beginners who want to get started with their online experience in the safest form. This company set in first as a personal company back in the year 2004. 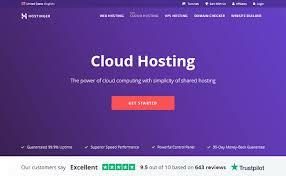 Later on, the company decided to change the name and launched 000webhost.com which grew very popular web hosting service which offered the services for free. The first milestone that came their way was when they were able to get 1 million users in just six years from the very day they set in their feet in this field. These days the company has managed to get around 29 million users all over the world. Moreover, the company has been successful in establishing localized offices around 39 countries all over the world with 150 employees in each office. This company offers a set of web hosting service to name few; they would be shared hosting plans, website builder, VPS hosting plans, etc. The price structure formulated for the premium features it provides is something that makes Hostinger the best option to set and experience the online presence. It does provide with a large variety of services at a very affordable cost. Some of the features of the Hostinger services are: They provide the SSD disk space which gives better performance for the website, Optimized WordPress speed that boosts the website to four times that of the normal speed. It also provides with the doubled crucial resources which simply doubles the processing power as well as the memory. There are many more to the features of the service of the Hostinger. The site has ensured the security as it is protected by Bitninja. Thus, this lessens the risk for the beginners as well as makes it a better choice for the people to rely on. The key concern is the security of the website and the BitNinja’s DDOS protection helps to avoid any cyber threat or cybercrime to the fullest. How far the security of the websites are concerned this is the best VPS hosting service. If it is the matter of performance then their service can be put to no doubts as they manage to lead in the speed as the response time is impressive. And this way it is the best VPS hosting service provider. This can be a great option for the small business set up as well as the startup businesses. Moreover, the services provided by the Hostinger is especially helpful for people with no technical knowledge or less technical knowledge. It is the best VPS hosting service provider. It helps them to create a better website. The Hostinger also offers people with a large library which consists of well-designed templates which can help for the search engine optimization. You are exposed to large varieties of templates where you can make the choice of the one that goes well with the outlook of your website. Hostinger service offers people with different hosting plans. There are services to handle a website at a time while on the other hand there are premium services provided by the Hostingers which offers more additional features which largely focus on the eCommerce. If you have a bigger website than you must seek the Hostingers assistance as they are the best VPS hosting service which can provide you with amazing speed and resources as well. A daily backup for the website. A domain nameHostinger VPS review. Hostinger is known all over the world to have a strong office which is localized and one can start his or her website with a free hosting. Hostinger has all such things in it which can make risk free option for the beginners and also can be an advanced option for the experts. One can start the online experience on Hostinger so that the experience is the best one. The services of Hostinger range from the advanced VPS cloud hosting plans to the fresh beginners who want to get started with their online experience in the safest form. Hostinger offers an affordable package for the registration of Domain. The Hostinger hosting services come with a whole lot of things which is quite easier for the beginners of the field. Some beginners are technically not sound, and the services provided by the Hostinger is just like an all-time support system so that they can end up managing their website efficiently. The Hostinger hosting services come with a whole lot of things which is quite easier for the beginners of the field. Some beginners are technically not sound, and the services provided by the Hostinger is just like an all-time support system so that they can end up managing their website efficiently. They can also have access to the essential system function as the entire layout of the Control Panel Dashboard is easy for the beginner as especially the people who are technically not so sound. Moreover, the payment option in Hostinger is easier which allow people to have access to the service provided by the Hostinger.